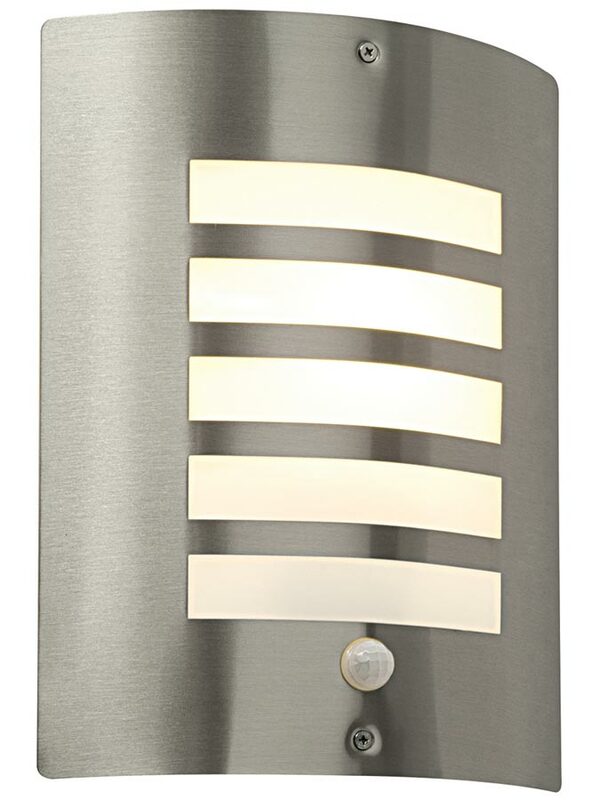 The bianco modern slatted stainless steel outdoor pir wall light, rated IP44 and suitable for external use. Curved slatted brushed stainless steel fascia, with integral motion sensor, an opal polycarbonate diffuser and compatible with LED lamps. Perfect for installing alongside a front door or porch to give a soft glow during the hours of darkness. Automatically activates during the hours of darkness when movement activates the sensor. Adjustable for time and light levels. Please note: This wall light has a white polycarbonate wall mount that can be seen when viewed from the side. Please follow this link to download the instruction manual.